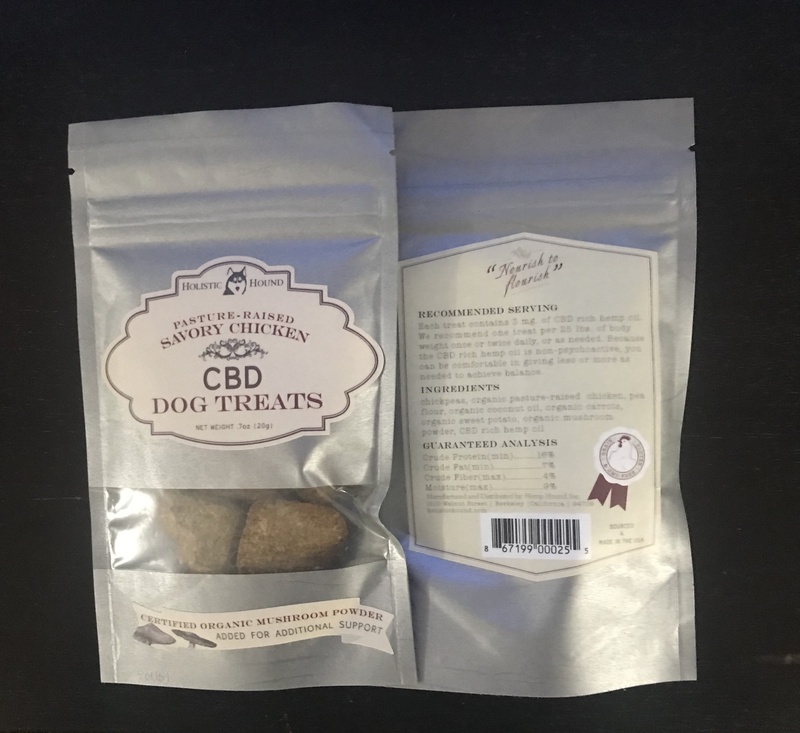 CBD dog treats b y Holistic Hound dispels the worries of many pet owners who are mistrustful of treating their pets with medicinal mushrooms, given the popular misconception that organic medicinal mushrooms are poisonous and hallucinogenic. Pet ailments can be treated with medicinal mushrooms, and it will not poison or drive your pets tripping through the woods. This is an all natural CBD pet product that is marked Safe to consume by CBDSafe CBD shop and delivery service. This product is meant for pet consumption and not for human use. Organic mushrooms can provide a lot of benefits for your pet’s immune and digestive health. The primary component of medicinal mushrooms are called beta-glucans. Mushrooms also contain enzymes, nutrients, and proteins. These chemicals help the body fight against a host of physical and mental ailments. Holistic Hound CBD mushroom dog treats have anti-cancer properties. It essentially contains beta-glucans which can help combat tumors. Holistic Hound Small Breed CBD Dog can help boost your pet’s immune system. Holistic Hound uses organic whole plant hemp and a blend of five certified organic medicinal mushrooms for additional healthy support. Ingredients: chickpeas, organic pasture raised chicken, pea flour, organic coconut oil, organic carrots, organic sweet potato, organic mushroom powder, CBD rich hemp oil. Great! Helps my dog with a host of physical ailments. CBD oil for dogs, removes my old dogs pain perfectly! So effective products for dogs!!! !